The age of the defendant. The defendant’s capacity to appreciate the wrongfulness of the defendant’s conduct or to conform the defendant’s conduct to the requirements of law was significantly impaired, but not so impaired as to constitute a defense to prosecution. The defendant was under unusual or substantial duress, although not to a degree that would constitute a defense to prosecution. The degree of the defendant’s participation in the crime was minor, although not so minor as to constitute a defense to prosecution. During or immediately following the commission of the offense, the defendant complied with all duties imposed under sections 28-661, 28-662 and 28-663. The Arizona Supreme Court defined ‘duress” in mitigating circumstance (3) as “any illegal imprisonment, or legal imprisonment used for an illegal purpose, or threats of bodily or other harm, or other means amounting to or tending to coerce the will of another, and actually inducing him to do an act contrary to his free will.” Originally found on AzCourts.gov See State v. Herrera, 174 Ariz. 387, 400 (1993). In Herrera, the Court found mitigating circumstance (6) when the defendant fatally shot the deputy because his father ordered him to do it. Mltigating circumstance (6) is a catchall that a person can use when the previous 5 circumstances don’t apply. A person’s lack of a criminal record falls under this circumstance according to State v. Thurlow, 148 Ariz. 16, 20 (1986). Other potential mitigating circumstances are a person’s traumatic childhood, dysfunctional family, personality disorder, poor physical health, strong family support, employment, rehabilitation, cooperation, and/or remorse. Mitigating circumstances are important because a court shall take into account the amount of aggravating circumstances and whether the amount of mitigating circumstances is sufficiently substantial to justify a sentence lower than the presumptive sentence according to A.R.S. § 13-701(F). A court shall impose an aggravated sentence (greater than the presumptive sentence) if the trier of fact finds aggravating circumstances and the court does not find any mitigating circumstances. In other words, the presence of mitigating circumstances allows the court to impose a lower-than-average sentence while their absence requires a higher-than-average sentence. Arizona law on mitigating circumstances is complicated. You need an experienced defense attorney to fight for you. 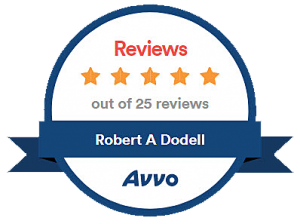 Attorney Robert Dodell, Attorney At Law has over three decades of experience. Call him today for a free initial consultation.